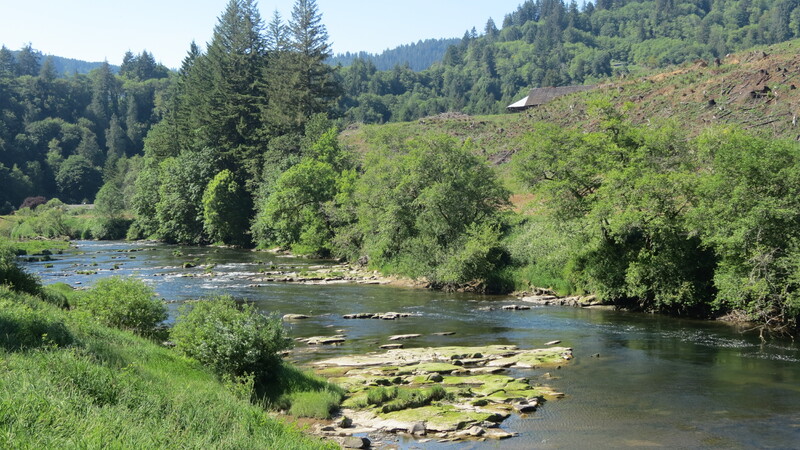 What an awesome day on the Alsea River! There were osprey, kingfishers, mallards and common and hooded mergansers. All the ducks had chicks. The mallard hen had 8 or 9 chicks with her. 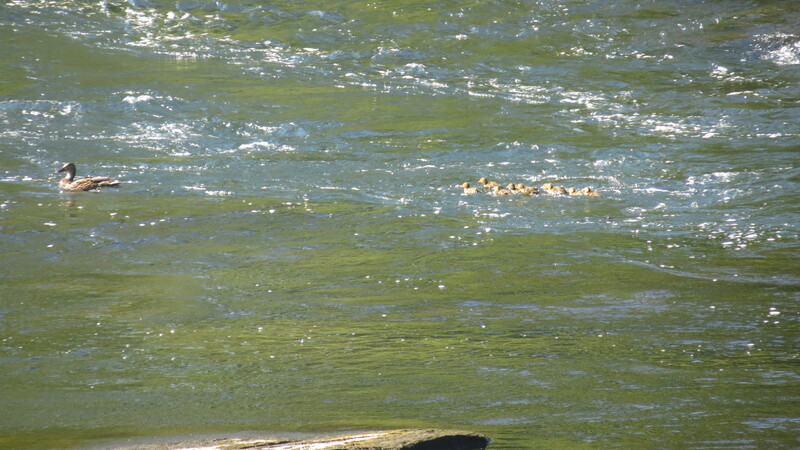 It’s hard to count those little bobbing heads while trying to keep up with mom in the rapids. 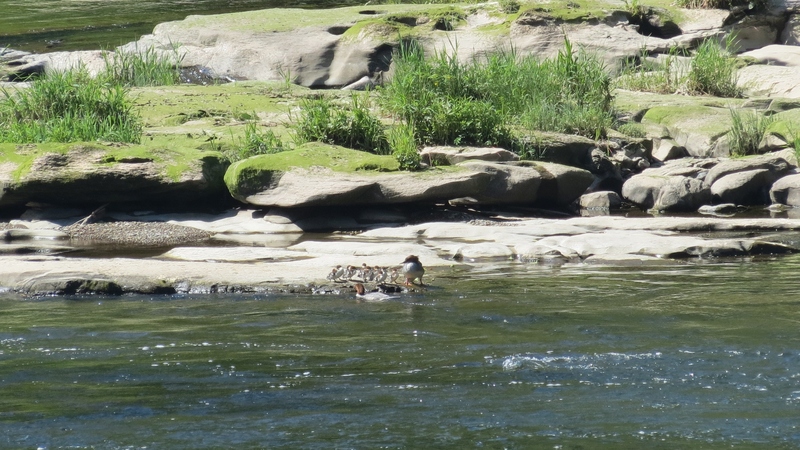 Watch the video of the mallard chicks following mama across the river. They look like they are connected by elastic. Click on YouTube (bottom right) for a larger video. A Common Merganser hen had 11 chicks with her today. She was VERY protective. She defended them from another female merganser who came too close. A Hooded Merganser had 3 chicks with her today but I didn’t get a photo. 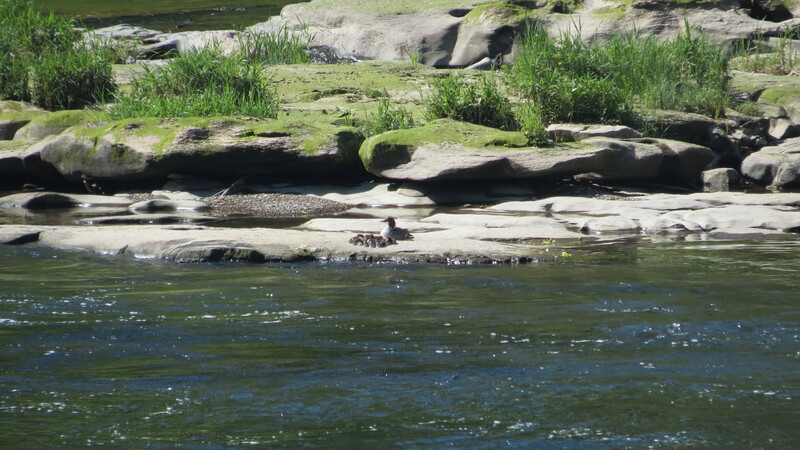 One of her chicks got mixed in with the Common Merganser’s chicks. The Common Merganser Mom attacked the Hoodie chick, throwing it across the water several times. it was a violent attack on such a harmless little baby. I wondered if she killed the chick but later saw the family intact. I don’t understand what the threat was.